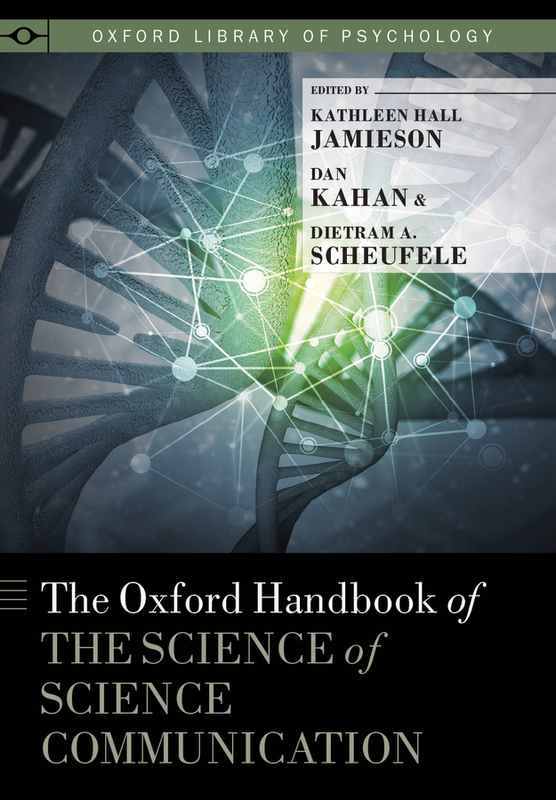 Drawing on the expertise of leading science communication scholars from six countries, The Oxford Handbook of the Science of Science Communication not only charts the media landscape – from news and entertainment to blogs and films – but also examines the powers and perils of human biases – from the disposition to seek confirming evidence to the inclination to overweight endpoints in a trend line. In the process, it draws together the best available social science on ways to communicate science while also minimizing the pernicious effects of human bias. Click here to obtain the book.